Now that Caroline is a proficient roller, she spends a lot of time on her tummy. 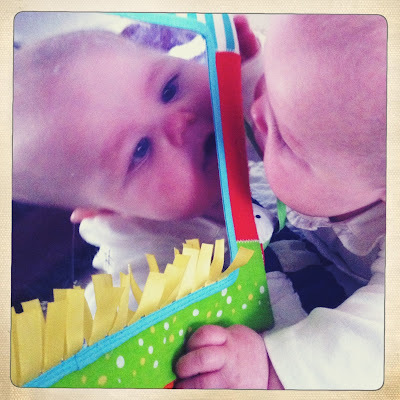 She loves to push up to see and smile at her reflection in this mirror. Then she tries to eat it.